Vagbars is the india's festival before diwali. Wish and the share with you family with best available quotes, shayari and messages. વાઘ બારસ 2018 ની હાર્દિક શુભ કામના! !! 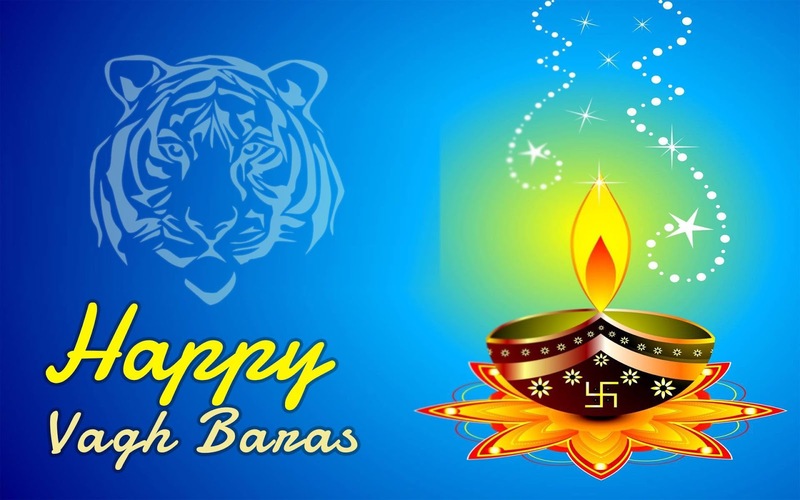 Happy Vagh baras !! !! हैप्पी वाघ बारस !! Aur Aap Muskaraye Dil-o-jaan Se...!! Har khushi aap ke saath chale..
Es SMS ko ek DIN Tak na dekhna! Wishing you a very Happy Vagh Baras 2018 to you and your family!